My 3 year old twin boys are big train fans, and of course our favorite is Thomas & Friends. 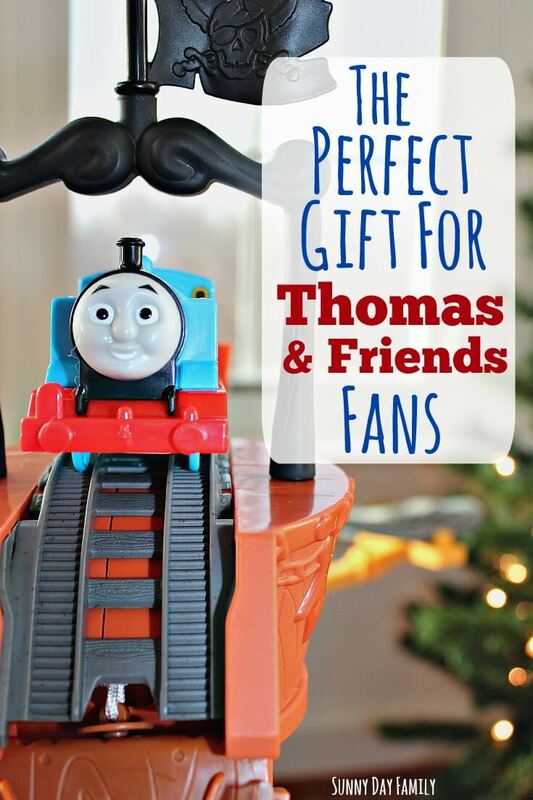 So when we got a chance to play with the Thomas & Friends™ TrackMaster™ Shipwreck Rails Set and Thomas & Friends DVD, Sodor’s Legend of the Lost Treasure from Fisher-Price, we knew we had found the perfect gift for any Thomas & Friends fan on your holiday shopping list! Seriously, we are having so much fun with this playset and movie. Even though it's not quite Christmas, I decided to surprise them with it when they woke up this morning (kind of a practice Christmas morning). They spotted it right away. One just said, "whoa!" while the other started jumping up and down yelling, "choo choo! choo choo!." They could not wait to play! I started the movie for them while I got to work assembling the track. When I first peeked at the instructions, I was a little intimidated (it's over 6 feet long), but I didn't need to be. There are a lot of pieces but they are really well labeled and it came together quickly and easily with no tools required. 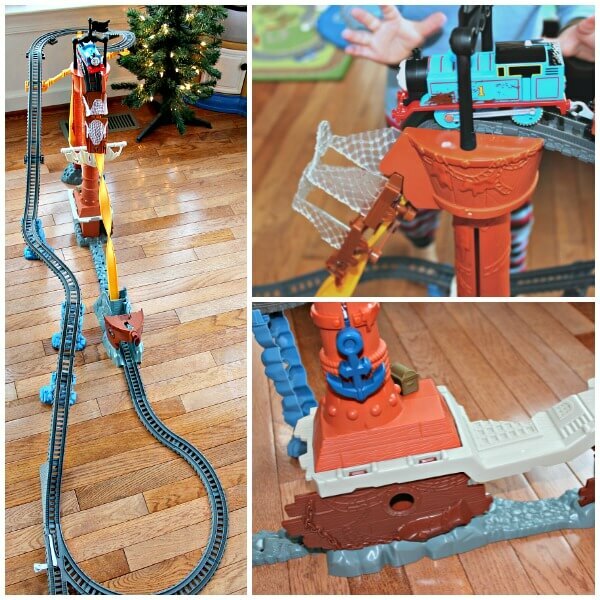 This Thomas & Friends™ TrackMaster™ Shipwreck Rails Set is compatible with all other TrackMaster™ sets, allowing your little engineer to continue to expand on and explore the exciting world of Thomas & Friends. This is our first set, but I have a feeling there will be more to come in the future. 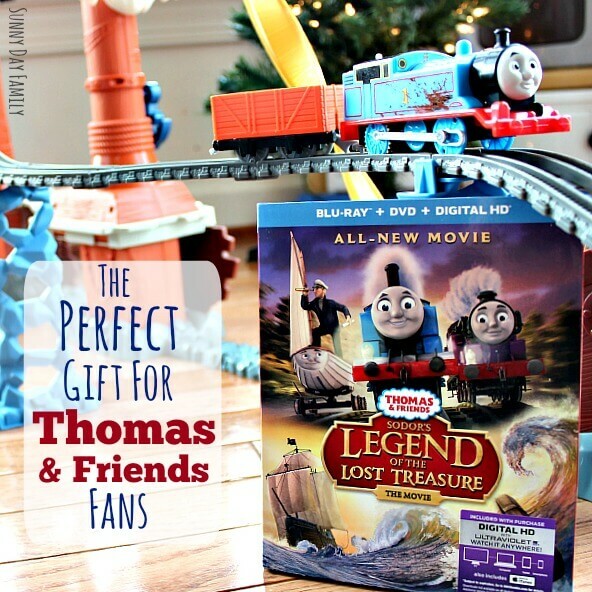 The boys loved the Thomas & Friends DVD, Sodor’s Legend of the Lost Treasure! It was a thrilling adventure but not too scary for my 3 year olds. They cheered Thomas on as he navigated the perilous Shipwreck Falls and finally discovered the lost treasure. 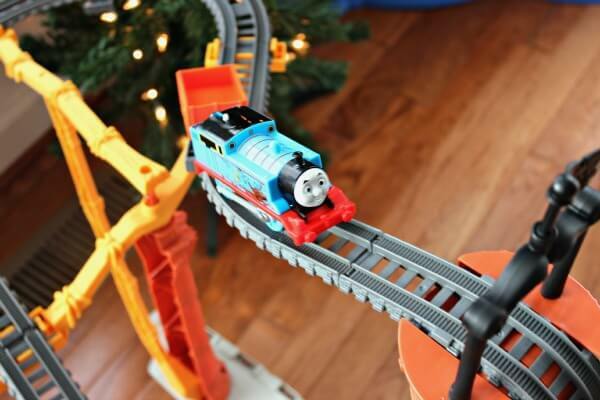 And when they saw that they could reenact the movie scenes with their new Thomas & Friends™ TrackMaster™ Shipwreck Rails Set they were hooked! 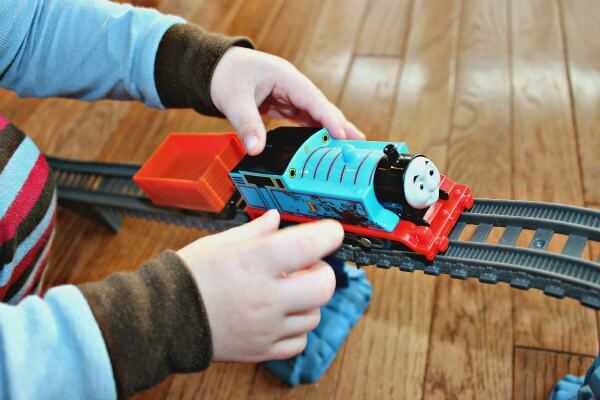 I loved how easy this set is for even 3 year olds to master - they can turn Thomas on and off by themselves, and there's an auto reset function so they can keep playing without me having to reset it each time. They could not contain their excitement as Thomas climbed up and up to the top of the ship's mast... and then when he plunged down to the 360 degree spiral turn they squealed with delight! I have to admit it was pretty cool myself - Thomas twists upside down on his way to the bottom, the treasure chest pops into his car, and he continues on again and again. So much fun! 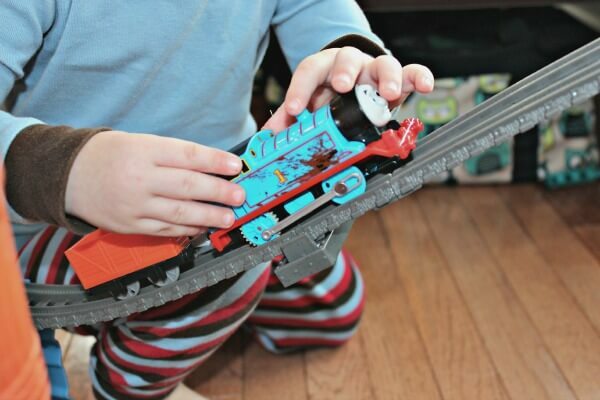 My boys are really enjoying this Thomas & Friends™ TrackMaster™ Shipwreck Rails Set™ set, and it is the perfect companion to the Thomas & Friends DVD, Sodor’s Legend of the Lost Treasure. They love to narrate the action as Thomas climbs up the steep hill, "here he comes!" and they cheer when he drops to the bottom and grabs the treasure: "He got it!" And I love that they are entertained with one of our family's favorite characters. 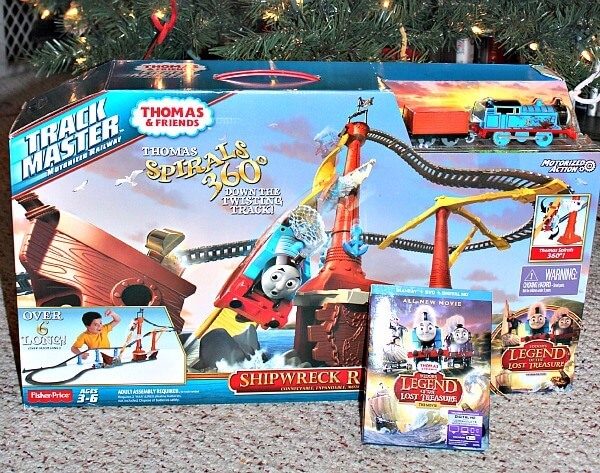 If you're a Thomas & Friends family like us, or you have a train lover on your holiday shopping list, they will love the Thomas & Friends™ TrackMaster™ Shipwreck Rails Set and Thomas & Friends DVD, Sodor’s Legend of the Lost Treasure Find the DVD and playset today at Walmart or check it out here from Fisher-Price!